Sierra Spa in Sharm El Sheikh is a perfect venue to relax, rejuvenate and revitalize body and soul during your holiday. Whether you join us for a private session or with your loved ones, you will enjoy personalized service of the highest level. 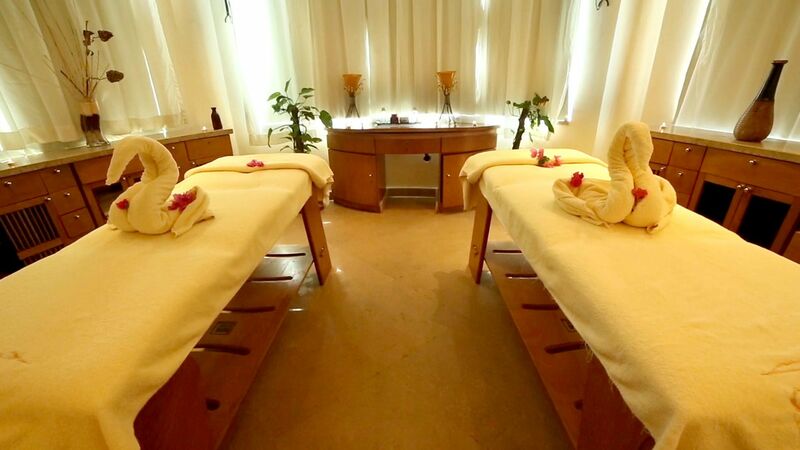 Our aqua spa offers a full array of treatments—from massages and body scrubs to peeling services, facials and body treatments—provided by professionals using pure essential oils, local Egyptian products, and world-renowned natural herbs. Located on three levels, Sierra Spa features two swimming pools, multiple treatment rooms, a steam room, sauna, Jacuzzi, Moroccan baths, a fully equipped fitness center, and a pool bar. Take full advantage of our spa facilities, and enjoy a full day of pampering from a pre-treatment workout, to a rejuvenating treatment of your choice and a post-treatment refreshment at the pool bar.